It was another busy week of racing, starting with 2 Ivanhoe ladies who ran the Derby 5k. Andrea Trickett did especially well, finishing 2nd lady in a swift 23:20. Lucy Allsop also had a good run finishing in 25:58. 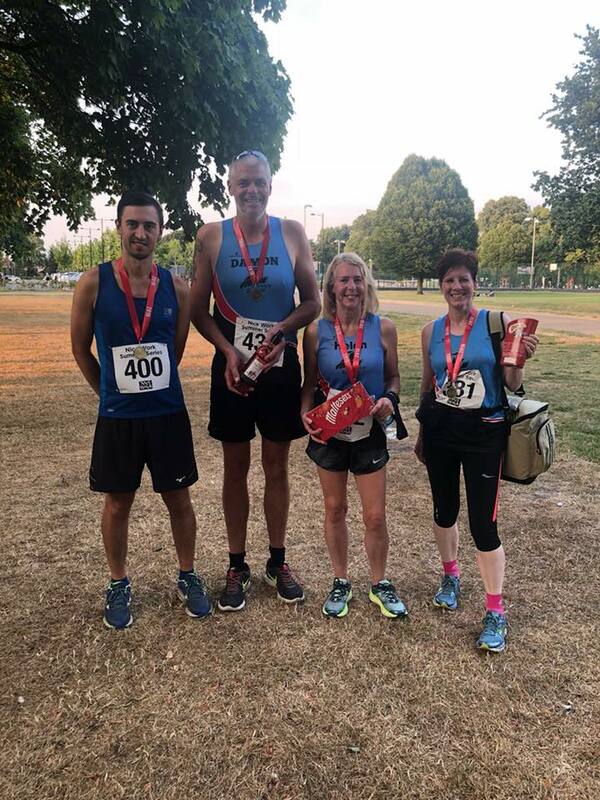 Over at Leicester Victoria park 2 nights later, 4 Ivanhoe runners had a go at the 5k, led by Mark Parker in 18:14. Damon Bland ran an excellent 20:59, and first VM50, while Helen Finn came in first VW50, and with a new personal best 5k time of 24:21. Sue Tait rounded off the team in 26:24 with another age category prize. 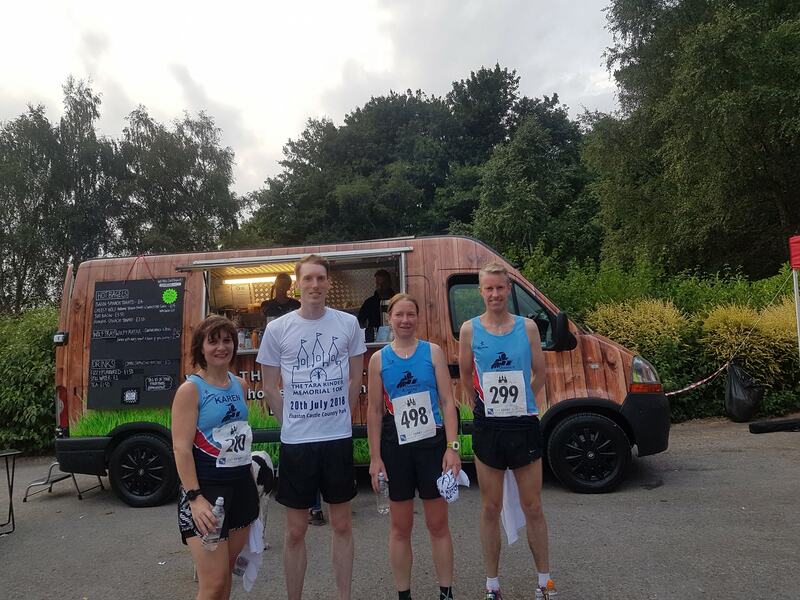 The Tara Kinder memorial 10k at Elvaston Castle, held on a slightly cooler Friday evening, was attended by 4 Ivanhoe runners who all ran in sub 50 times. Starting with Richard Martin with a speedy 38:41, Patrick Horn then followed in 44:19, ahead of Julie Taylor in 49:24 and Karen Hartland in 49:50. Ian Kirk's Marathon for this weekend was 'The Wild One' in Worcester. A 10 lap run around trails and fields, run as a relay by many, Ian ran the whole 26.2 miles in 4:40 to complete 81 marathons to date. In Vendee, France, Jez Millington-Pipe ran the Terre a la Mer Semi Marathon. He had an enjoyable experience, despite it being very hot, and was happy with his time of 2:16. The Conti 24 hour Thunder Run at Catton Park is a highlight in the race calender for many local runners. A great team event, with runners completing 10k laps in teams, pairs or solo. Described as lots of fun with a great atmosphere, there were some good performances from our attending runners. The Ivanhoe Brewers team were Paul Myers, Grania Towle who ran an impressive 6 laps, along with Andrew Botrill running 3 laps. Helen Finn ran 5 laps of the course, carrying on despite a fall during lap 2. Mark Parker ran as part of the winning mixed 3-5 team, who clocked 32 laps collectively, with some friends from other running clubs. Mark ran 6 laps of the tough course, the fastest being 41:58.